Greg has been a golf professional since 1986. He graduated from the University of North Dakota with a BSBA in Accounting and began working at the Fargo Country Club from 1986-1988. Greg then moved to the Moorhead Country Club and worked there from 1989-1999. He has been the head professional at Edgewood since 2000. Greg has been a member of the PGA of America since 1993. He is married to Susan and has two daughters. Greg has won three Dakota Chapter PGA awards, named the 1999 Education Leader and in 2004 and 2007 was named the chapter Golf Professional of the Year. 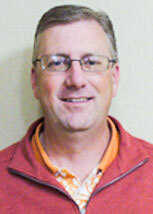 Greg currently sits on the Minnesota Section PGA and Dakota Chapter PGA boards of directors. Jason has been the Golf Course Superintendent at Edgewood and El Zagal Golf Courses since 2015. He graduated from the University of Minnesota in 1996 with a BS in Turfgrass Management. He worked at various courses in the Twin Cities from 1991 until 1996 when he became the Assistant Superintendent at Midland Hills Country Club. He most recently worked at Moorhead Country Club for the last 14 years. He became a Certified Golf Course Superintendent in 2005. Jason lives with his wife and two daughters in Moorhead, Minnesota. 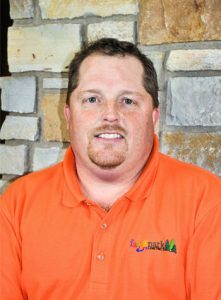 Chris has been the Assistant Professional at Edgewood and El Zagal Golf Courses since 2015. Chris grew up in Detroit Lakes, Minnesota where he was an avid hockey player and golfer. 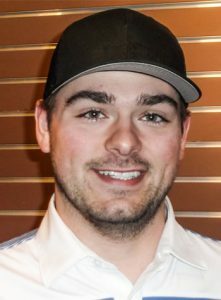 He is new to Fargo and to North Dakota and is excited for the opportunity to turn his passion for the game of golf into a career.